Do you remember what being a teenager felt like? All that angst, doubt and self-consciousness? When I think back it seems nothing short of a miracle that we usually manage to get through those acne-plagued, self-esteem rollercoastering years of adolescence relatively unscathed. These days, in many respects, it’s harder than ever. The average 13-19 year old has to do battle not just with the usual growing pains, hormonal tampering with mood, body shape and appetite for risk, and the perpetual social jousting that takes place in classroom, playground and neighbourhood. The 21st century has brought with it new battlegrounds on which war must be waged on a daily basis during those tumultuous teenage years. One of these is the newfangled phenomenon of cyberbullying, another is the global fight against obesity. The former topic will be covered in a blog later on this year (to whet your appetite for this, a recent Geek Chic Weird Science podcast special comprised a two-part Social Media special that touched on this subject – part 1, part 2 – with London School of Economics assistant professor Ellen Helsper). Here, we’ll be focusing on the struggle with food, glorious food. …there was always the odd fat kid or two in any given school year. These days the rate of childhood obesity has got truly out of hand. 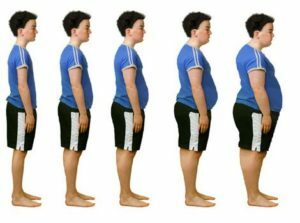 It has reached the point in the UK where one in five 14-year-olds is clinically obese. Who is feeding these children? And what exactly are they eating that makes them pack on so much subcutaneous fat? Most importantly, how might we turn back the tide of this waistline explosion? 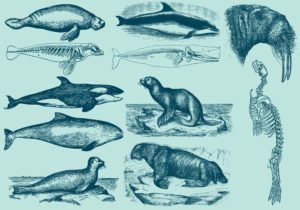 While our seal, dolphin and whale cousins need a thick layer of fat under their skin to help them retain body heat (to prevent it radiating away into the surrounding water) we humans have no such need for all that blubber. Back in the days where our ancestors lived under the shadow of the mortal threat posed by food scarcity, any subcutaneous fat could make the difference between life and death. 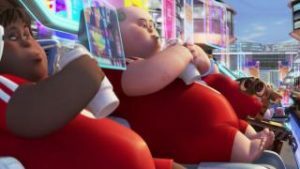 In most parts of the developed world, the environmental constraints have shifted to produce problems associated with ubiquitous food availability resulting in extra body weight that provides no benefit whatsoever. How did we get so overweight? One important factor is the advertising we are exposed to, which warps our attitudes toward food and tempts us to indulge in delicious yet unhealthy foods on a daily basis. Bad dietary choices are usually made primarily due to the powerful lure of immediate gratification, in the interests of saving money, or both. Sadly, the heavily-processed, yet tasty foods containing the most added salt, sugar and/or fat are often those that are the most affordable. Tasty and affordable maybe, but certainly not nutritious. In recent years advertising that specifically targets the adolescent market has gradually wangled its way into our midst. The financially lucrative, yet ethically dubious, strategy employed here is to entrain the daily habit of fast food, confectionery and fizzy pop early on in life. That way, the chances are that such eating habits will probably endure (generating huge profits for the companies that peddle such products) over the person’s entire lifetime. Great news for those in the business of selling these high fat, sugar loaded products, but devastating for the overall health of those who succumb. Not only that but there is evidence to suggest that the brains of overweight adolescents respond to the lure of high calorie drinks with all the hallmarks of addiction. What, if anything, can we do about this sorry state of affairs? A recent study demonstrated that simply revealing these cynical marketing tactics can be just the ticket to altering adolescents’ responses to fast food and sugary drink advertising. Not only that, but evidence was also presented in this paper to suggest that such an approach can influence their real life food and drink decisions. This study was published in the journal PNAS and suggests that one of our best weapons against childhood obesity is the natural proclivity for teenagers to feel outraged by social injustice. 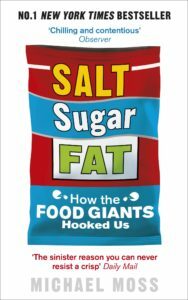 If you are worried about the waistline of the children in your life, you could do worse than reading Michael Moss’s book: Salt, Sugar, Fat – How the Food Giants Hooked Us. Sharing the shocking stories detailed within this book, and others like it, that revealing the boardroom level decisions that aim to increase profit margins by fattening up as many of us as possible, should be sufficient to light to touchpaper to their adolescent kegs of moral gunpowder. And in a manner that could well lead to them expressing their discontent with the status quo by opting, willingly, for healthier food and drinks. Surprising as it may seem, the oodles of money huge government-backed corporations make in the process of fattening us up with cheap and delicious foods and nutritionally empty foods, really can make teens want to eat less rubbish and more healthier options. By aligning the natural teenage desire for autonomy and social justice with healthy eating the test subjects reduced their preference towards unhealthy food and drinks by 7% and increased the rate of healthy choices by 11%. A modest difference, admittedly, but certainly a step in the right direction. Not only that but the participating anger level towards fizzy drink advertising increased significantly as a result of this intervention, suggesting that it may be an effective way of inoculating young people against the seductive impact of fast food advertising. This research raises the point that it could make sense to ditch the usual approaches to educating kids about the importance of a healthy diet in favour of lessons that reveal the sinister advertising tactics specifically targeted at getting the lowest socioeconomic status individuals hooked on fatty, sugary processed foods as early as possible. 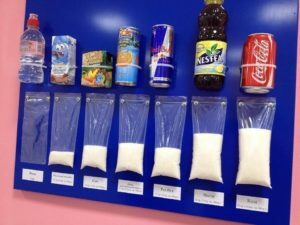 Such interventions seem to actively steer young adolescents clear of the high-fat/high-carbohydrate options on the basis that multinational companies profit hugely from brain-washing billions across the world to accept 9 spoonfuls of sugar in every “full fat” can of fizzy pop as normal and acceptable. While this study recruited just 536 different 13-14 year olds, who were randomly designated to one of three different groups: 1 group who received the exposé treatment, another received the traditional health messages and the final group who did nothing, it certainly suggests that if such an approach could be rolled out across the UK, it could well prove to be more effective than the old fashioned approaches to promoting health messages. Portraying healthy eating as a way to “stick it to the man” – and thus appealing to the typical adolescent’s soft spot for rebellion – seems a clever way of harnessing these instincts in a way that might just help teens keep their body weight in check. In addition to these monthly brain blogs, I tweet about brain-related research that hits the press on a daily basis (@drjacklewis) and do a fortnightly podcast about recent quirky science stories called Geek Chic’s Weird Science.